FRESNO, Calif. (KFSN) -- A simple lost wallet report turned into something much bigger after Detective with the Porterville Police Department viewed surveillance video. On December 15th, just before 2 in the afternoon, someone left their wallet on top of an ice cream display freezer at Shop-N-Save Market on West Westfield Avenue in Porterville. 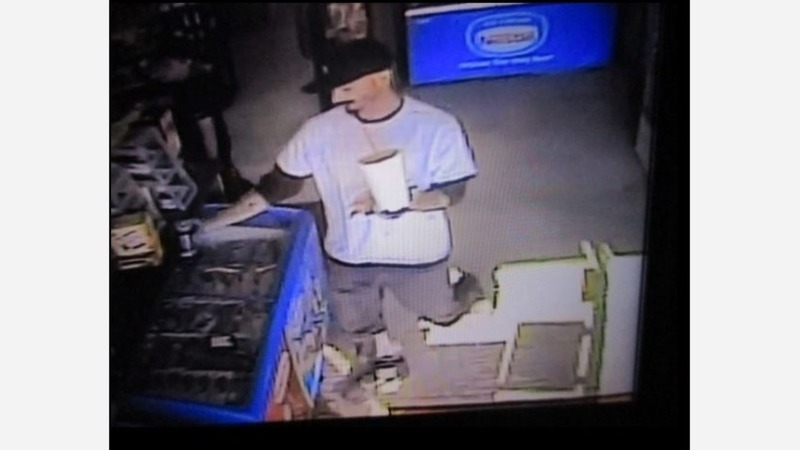 In a Facebook post, the Porterville Police Department says video surveillance footage obtained shows the suspect glance at the wallet, then place several of his items on top of it. Shortly after, he picks up all the items, including the victim's wallet and exits the business. The suspect then enters the front passenger side of a white van shown and depart the area. If you recognize the man in the picture or the white van, please contact Community Service Officer Ivan Martinez at (559) 782-7400 of the Porterville Police Department. You can also remain anonymous by private messaging the Porterville Police Department's Facebook account.